Dunlop's SP Sport 01 and SP Sport 01A tyres are Ultra High Performance Summer tyres ideal for sports cars, coupes and sedans. Dunlop's SP Sport 01 tyres were designed to be multi-talented tyres and were initially developed for Original Equipment use by leading automotive manufacturers to complement the latest in vehicle design and construction. SP Sport 01 and SP Sport 01A tyres are not intended to be driven in near-freezing temperatures, through snow or on ice. 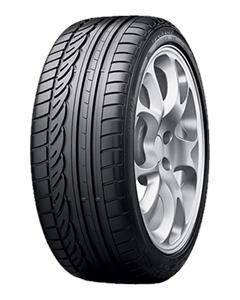 A multitalented tyre for mid class and luxury vehicles: Superb performance in various conditions, high speed handling, enhanced grip on wet plus quiet and comfort ride.